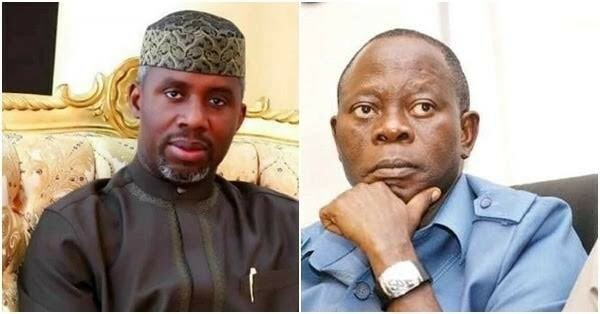 Son-in-law of Governor Rochas Okorocha and governorship hopeful, Uche Nwosu, has slammed the National chairman of the All Progressives Congress, APC, Adams Oshiomhole, for cancelling the state party primary where he emerged the party's governorship candidate for the 2019 election. Nwosu was reacting to the statement of Oshiomhole after his (Nwosu) name was dropped for Senator Hope Uzodinma as the governorship candidate of APC in Imo state. In a statement released, Nwosu who is married to Imo sate Governor, Okorocha's daughter and was being prepared to take over office come 2019, accused Oshiomole of working against his emergence as the next governor.